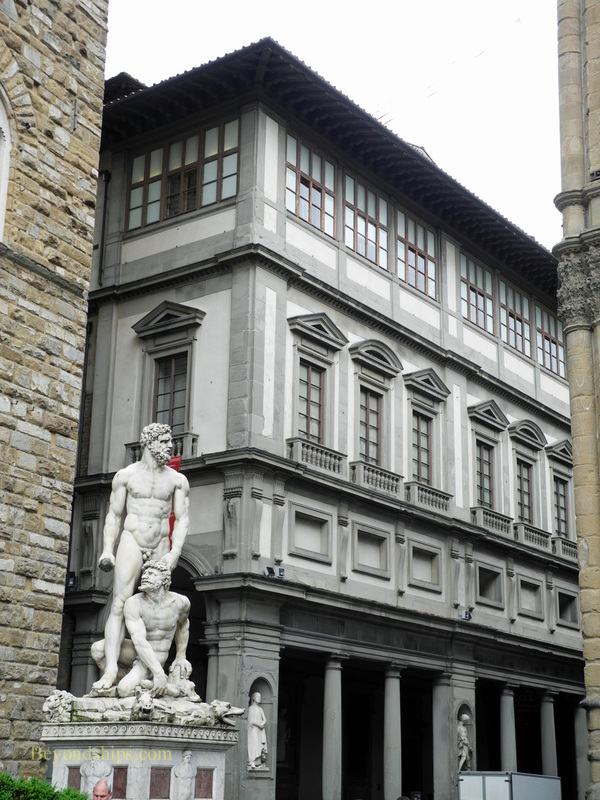 A large L-shaped expanse, the Piazza della Signoria is the traditional political and commercial heart of Florence. (The Signora was the highest executive in Florence when it was a republic). It was here that the zealot monk Savonarola held the Bonfire of the Vanities. 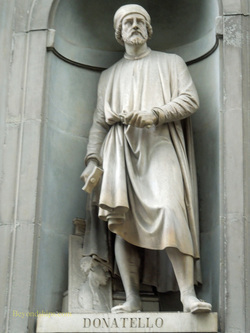 During one of the several times that the Medici were deposed, this zealot monk led a campaign against luxury resulting in many books and works of art being destroyed. 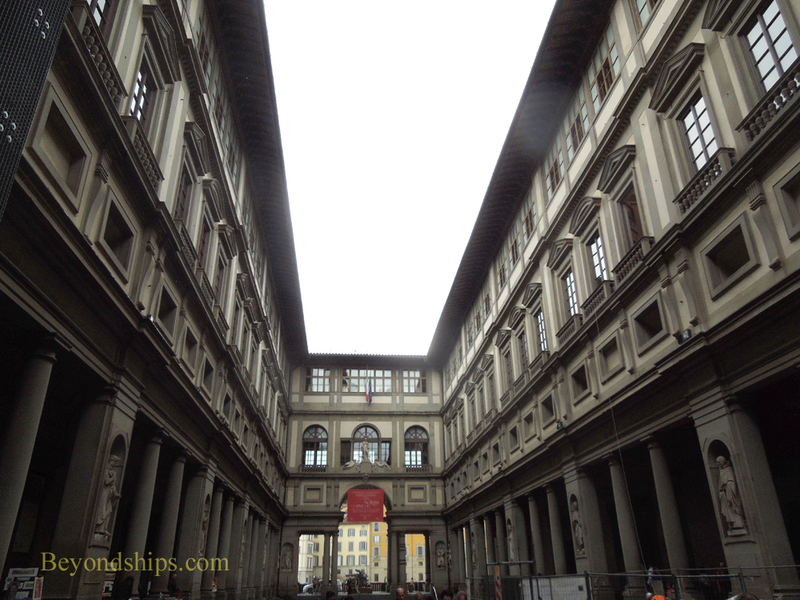 But just a few years later, the Florentines burnt Savanaola here as a heretic in 1498. They then celebrated the return of the Medici here in 1530. The most famous residents of the Piazza, however, are sculptures. It was for many years, the home of Michelangelo's David. 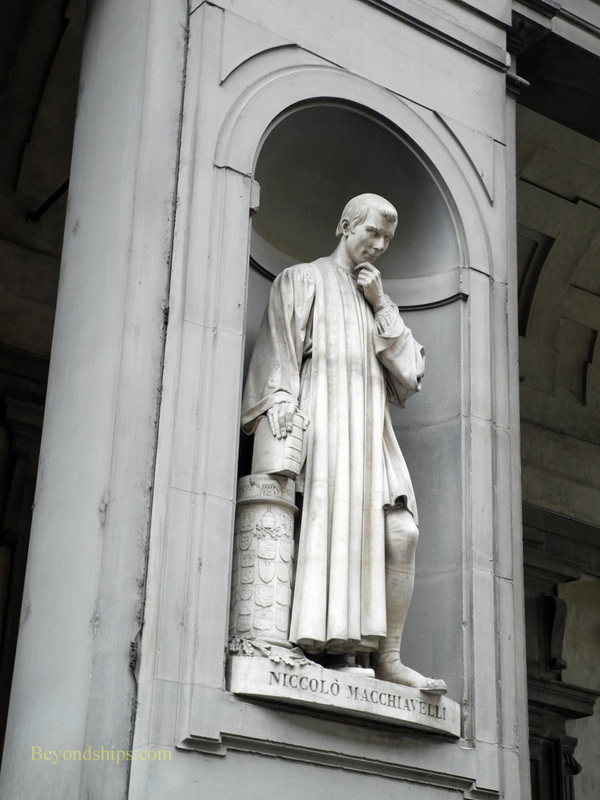 (The original is now in the Galleria dell' Accademia and a copy occupies its place in the square). Next to David is Bandinelli's Hercules and Cacus. 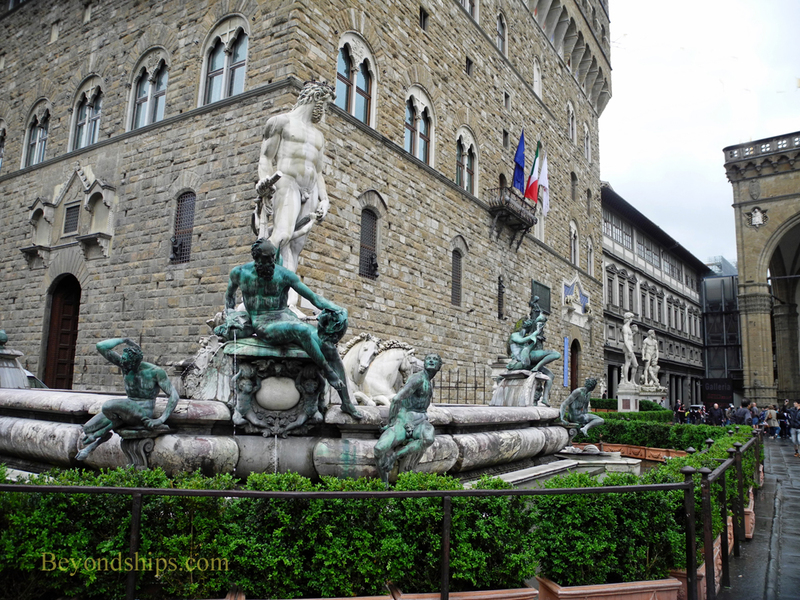 Ammannati's Neptune fountain pays tribute to the Medici's maritime ambitions. 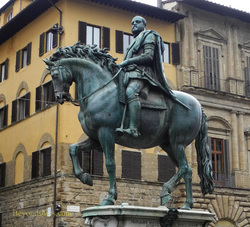 Nearby is a large equestrian statue of Duke Cosimo I. Along the sides of the piazza are shops and open-air cafes. 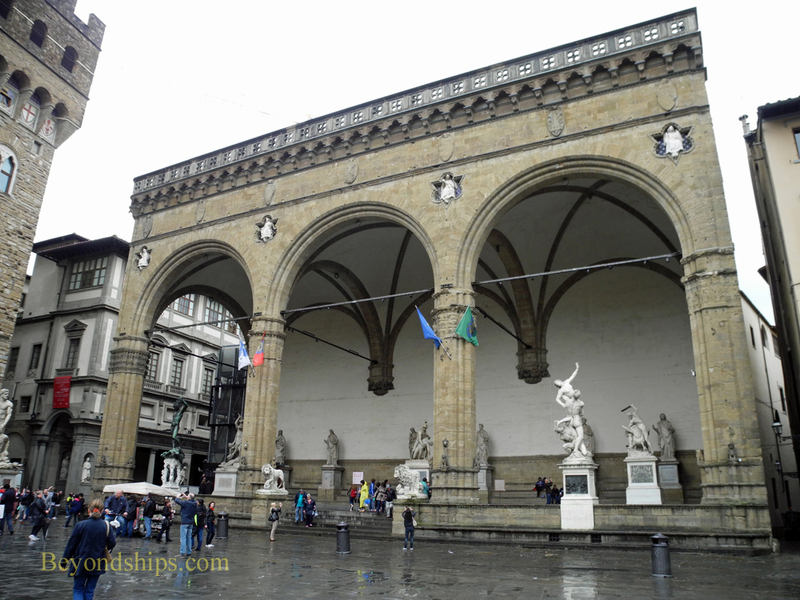 On one side of the piazza is the Loggia dei Lanzi, a graceful open-air sculpture gallery dating back to1376. Dominating the plaza is the Palazzo Vecchio (Old Palace). Completed in 1302, the Palace is quite medieval in appearance. It was extensively re-done in the 16th Century when Grand Duke Cosimo I made it his residence. Nonetheless, his son still decided to move the court to the Pitti Palace. The Old Palace took on new life in the 19th Century when it housed the Italian Parliament during the brief period when Florence was the capital of the newly unified Italy. 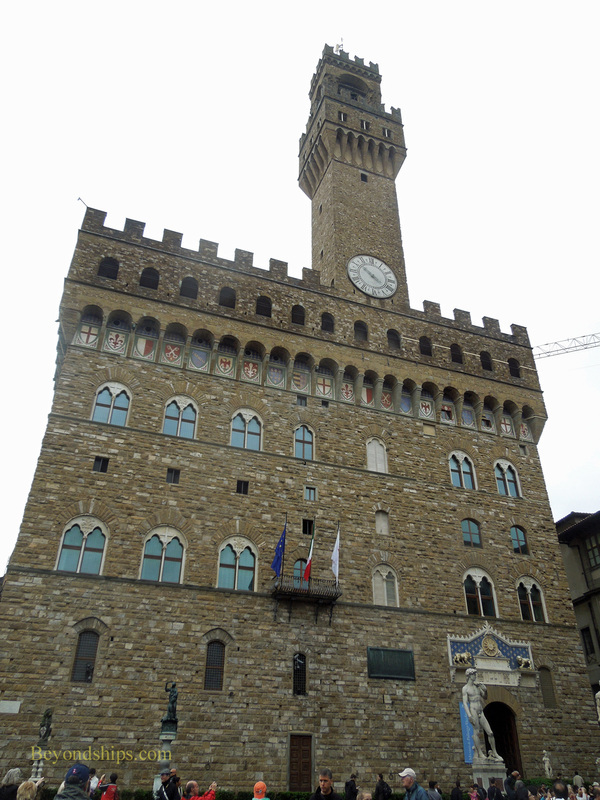 Today, the Palazzo Vecchio is the City Hall of Florence. 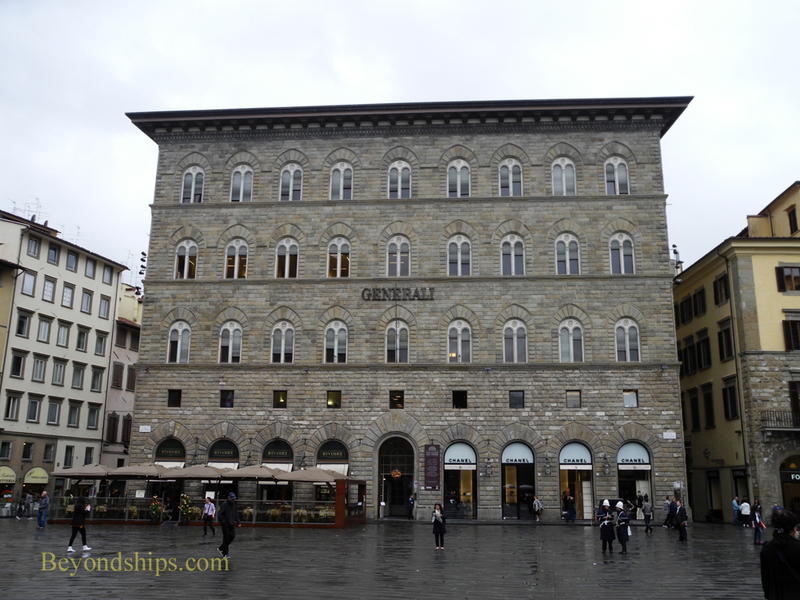 For information about visiting the Palazzo Vecchio click here. 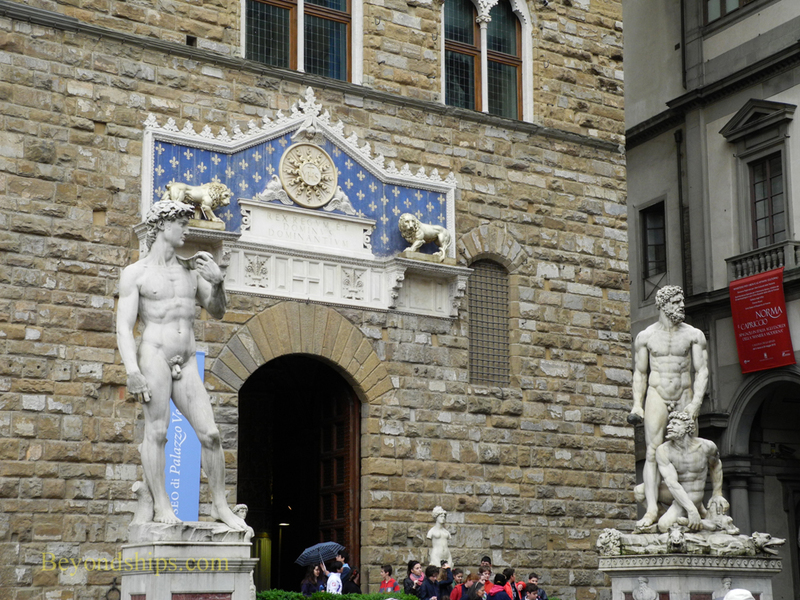 Immediately next to the Palazzo Vecchio is one of the world's great art museums, the Uffzi Gallery. It was not built by Cosimo de' Medici, first Grand Duke of Tuscany, as a museum but rather as a series of government offices. 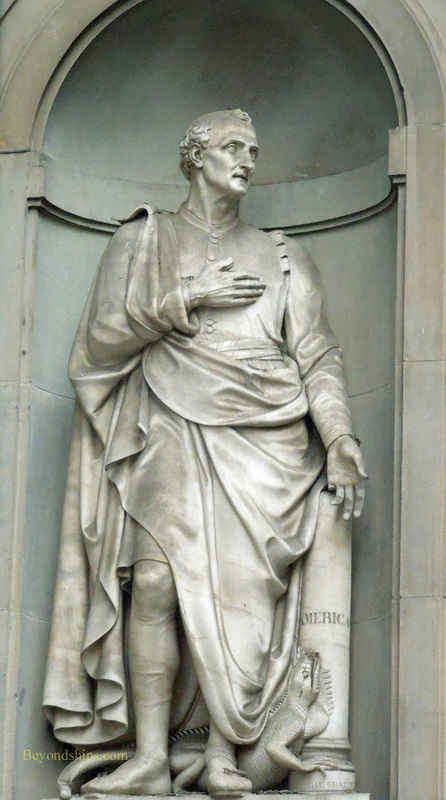 However, over the years, the Medici came to store more and more of their extensive art collection here. In 1769, Grand Duke Peter Leopold opened the galleries to the public. The collections include works by Leonardo Da Vinci, Raphael, Michelangelo and many other great artists. Consequently, it is a very popular place to visit and there are long lines to get in. Furthermore, since the building was not designed as a museum, it takes time to see the collections. To save time, it is best to purchase tickets ahead of time. 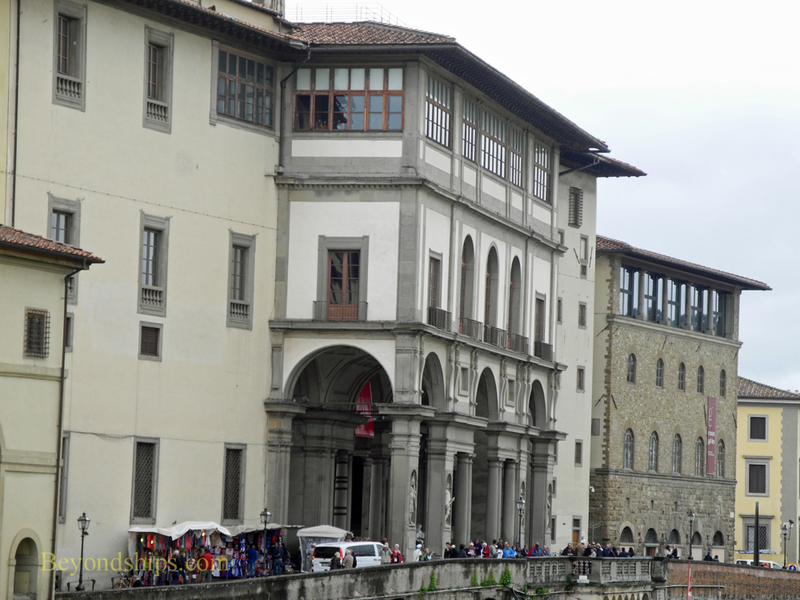 For information about visiting the Uffizi click here.